Don't miss this opportunity to own this beautiful farm! Farm features a 4 bedroom 3.5 bath vinyl sided home with approximately 3600 sq. ft. of living space with BEAUTIFUL views, large lake, 40 X 60 pole barn with concrete floor, work shop, tack/feed room, electric w/separate meter & water, 24 X 60 pole barn with electric w/separate meter & water and some 4-board fencing and farm fencing. The front of the home is pre-1900's with new electric, windows, drywall, etc. and the rear of the home was built in 2004 over a unfinished basement. Home features Great Room with vaulted ceiling and wood burning fireplace, Kitchen w/large pantry, Dining Room, Living Room/Library, Office w/wet bar, 4-season Florida room, 2 porches, deck, plus much more. Tons of wildlife in the area.This property offers tons of privacy with the home and buildings sitting well off the highway out of sight. 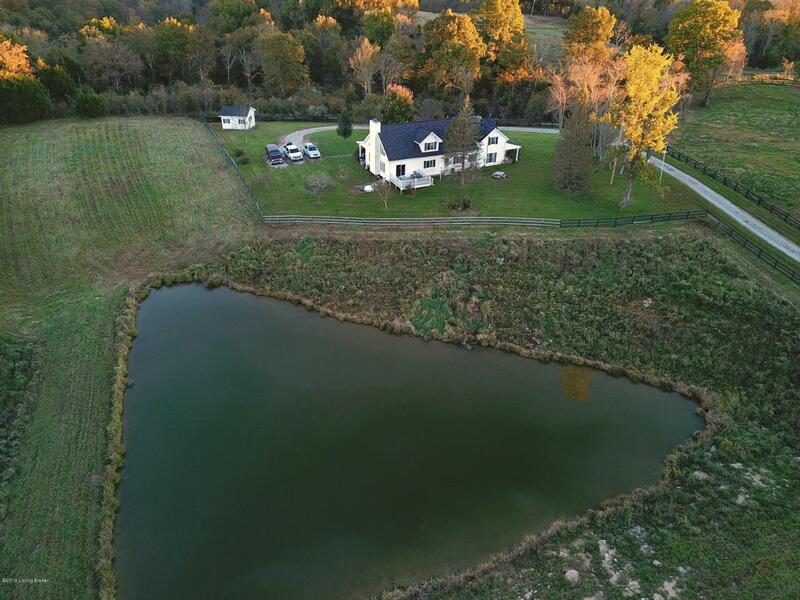 The home sits on a vista overlooking the beautiful farm lake, pasture and woods. Make your appointment today to see this awesome farm. DO NOT ENTER THIS PROPERTY WITHOUT AN REAL ESTATE AGENT PRESENT!! Pasture and tillable acres are approximate! Additional land available see MLS#1521837 and MLS#1521838.